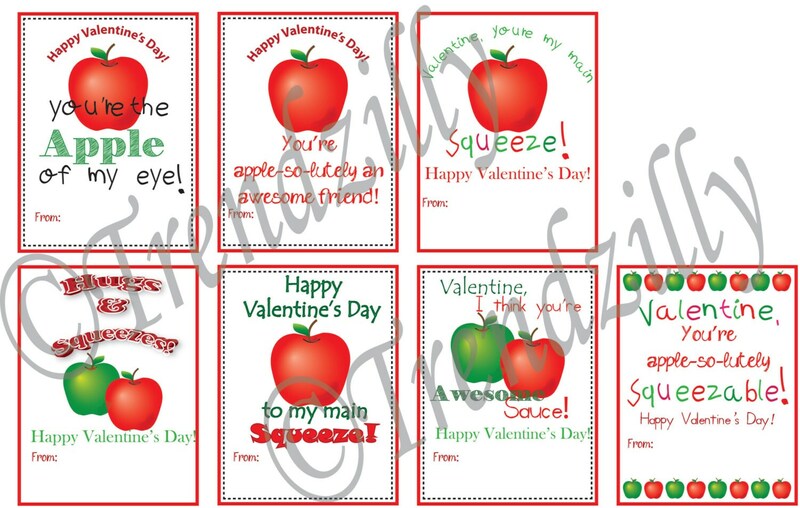 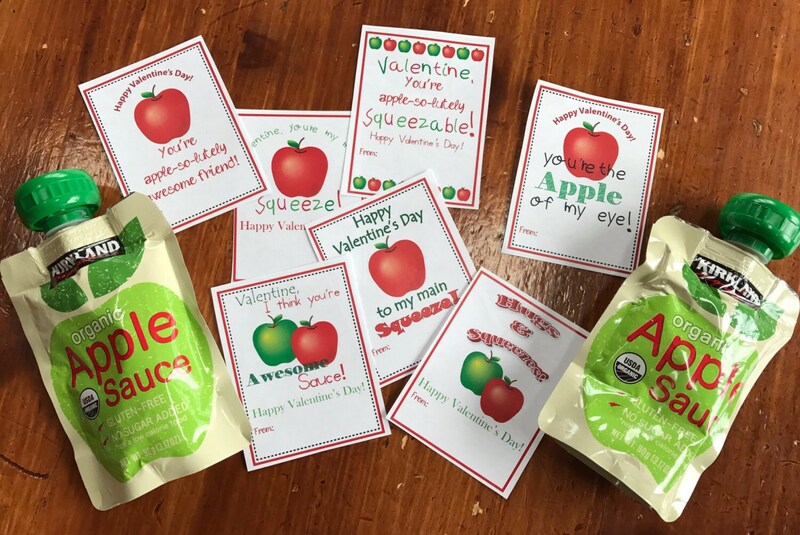 This is a printable download of 7 Apple sauce pouch valentines. 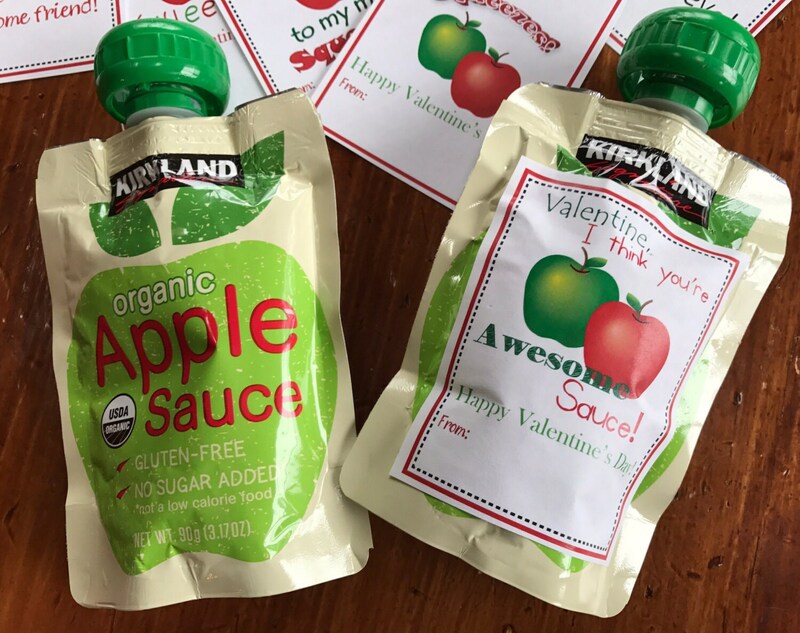 A great healthy alternative to candy and for little ones to little ones to small for candy. 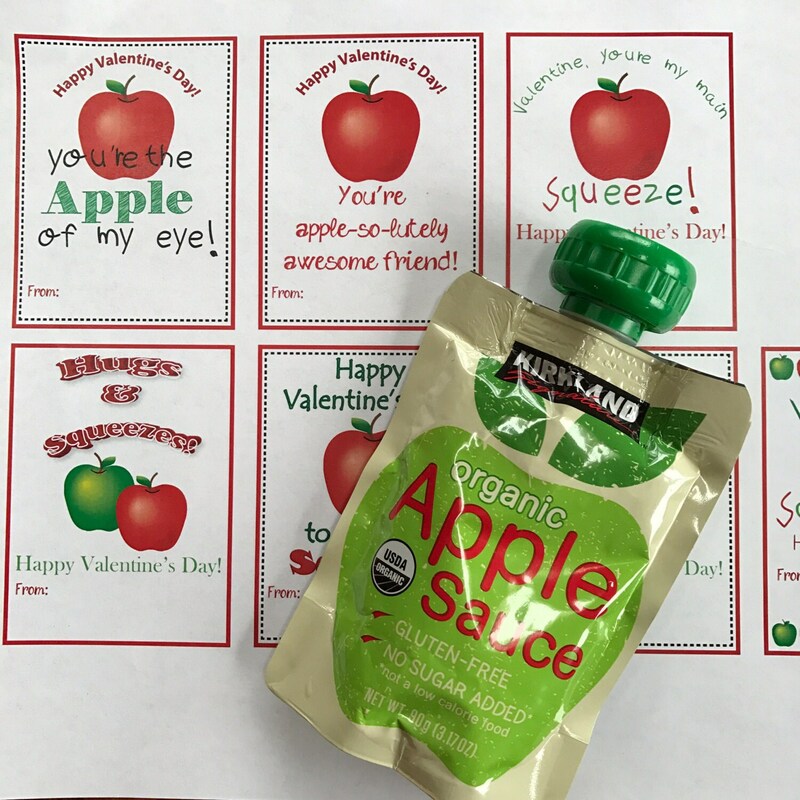 Just glue to the pouch or use a hole punch and tie on with a ribbon. 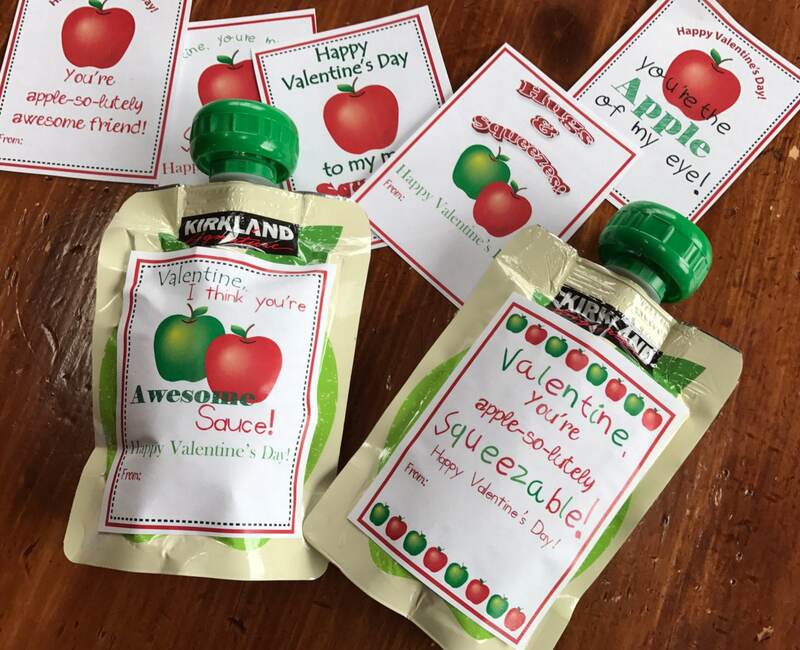 Use as is, or personalized with embellishments.